Dr. Tidwell graduated with her bachelor?s degree in chemistry and psychology from the University of South Alabama, and she received her medical degree from Philadelphia College of Osteopathic Medicine. 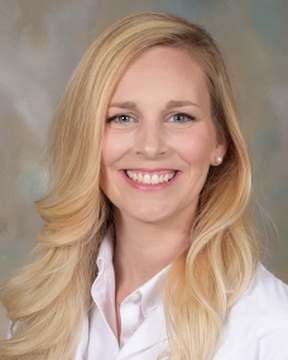 Dr. Tidwell completed her residency training in pediatrics through the University of Florida College ... Read More of Medicine at Sacred Heart Hospital Pensacola. While in medical school, Dr. Tidwell served as leader of the student ambassador program, helped organize the first International Medical Volunteerism Conference in Atlanta and founded the international medicine club, which organized, planned and fundraised to send 50 medical students for medical mission trips in Ecuador, Peru and Costa Rica. Dr. Tidwell volunteered regularly at Gwinnett Community Clinic, Lazarus Soup Kitchen and the American Cancer Society, and she also organized donation drives for the Atlanta Children?s Shelter and for the American Red Cross following the Haitian earthquake. As the mother of three small children, Dr. Tidwell enjoys the opportunity to help other families with their health and parenting concerns. She is a member of the American Academy of Pediatrics, the American Medical Association, the American Osteopathic Association and the American College of Pediatrics. She has been published in the Journal of the American Osteopathic Association, and she has a special interest in assisting mothers with breastfeeding needs. During residency, Dr. Tidwell performed research on the prevention and awareness of child abuse. When not seeing patients, Dr. Tidwell enjoys spending time with her husband ? who is an OB/GYN with Sacred Heart Medical Group ? and their three small children.